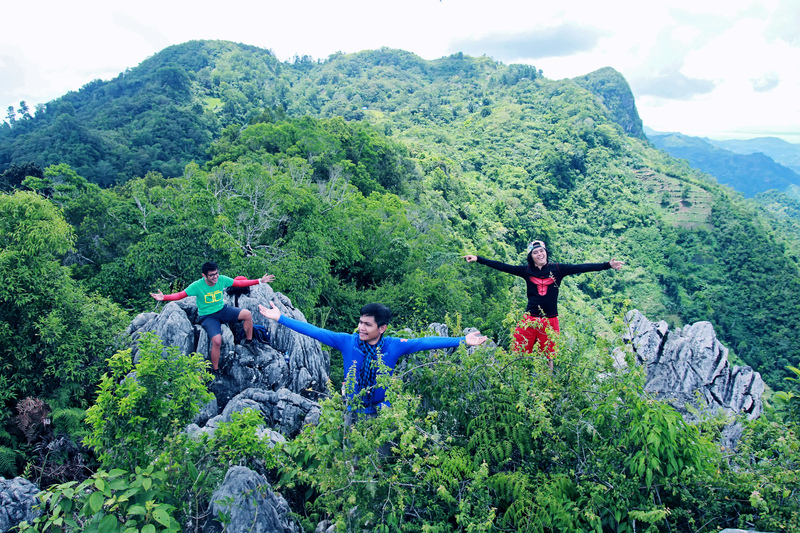 Mount Manunggal is a historical mountain situated in Baranggay Magsaysay (formerly Sunog) in Balamban Cebu. 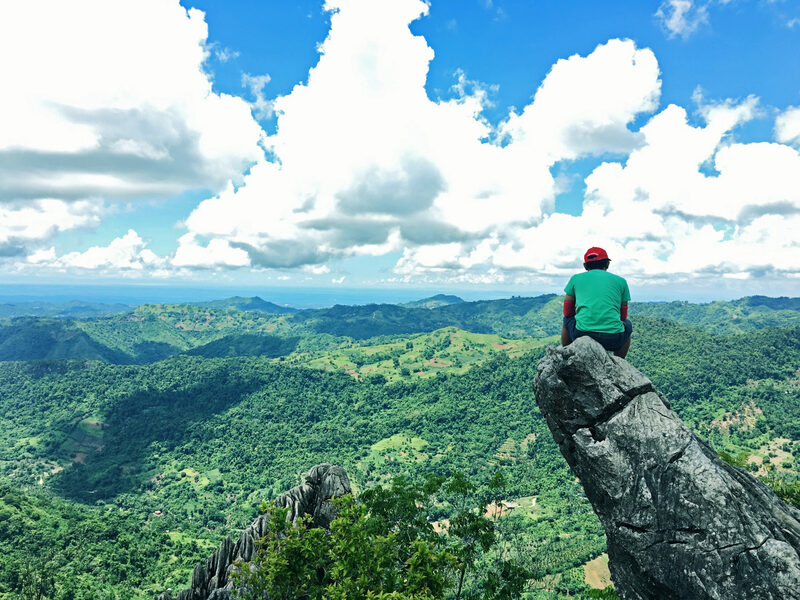 Mount Manunggal stands at an elevation of 1,003 meters above sea level and is within the enclave of the Central Cebu National Park. 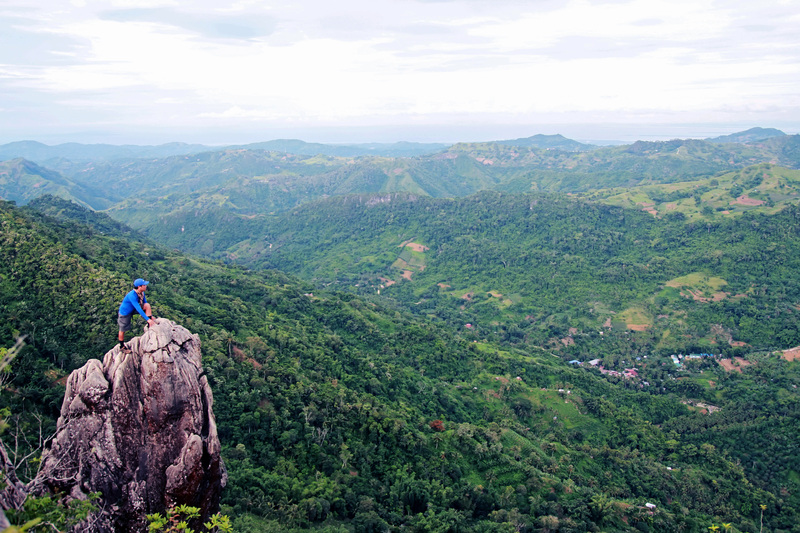 The mountain is protected by the Republic Act 8457, otherwise known as the “Central Cebu Protected Landscape Act”. The mountain is the crash site of the presidential plane Mt Pinatubo which killed the President of the Philippines Pres. Ramon Magsaysay and 24 others on March 1957. 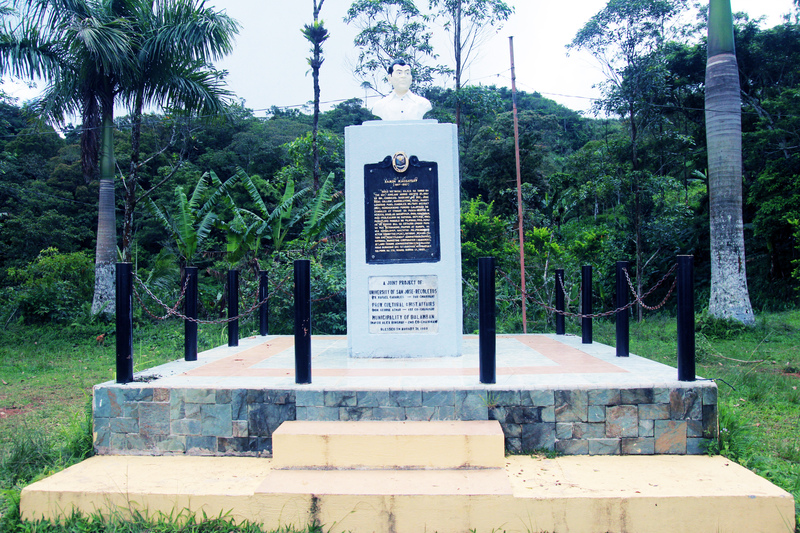 Mount Manunggal is accessible through a quite number of trails but the main route for the yearly death commemoration of of Pres Ramon Magsaysay were the trails from Tagba-o and the Cantipla in Tabunan, Cebu City. There is also a trail from Sunog. At the campsite, the monument of Pres. 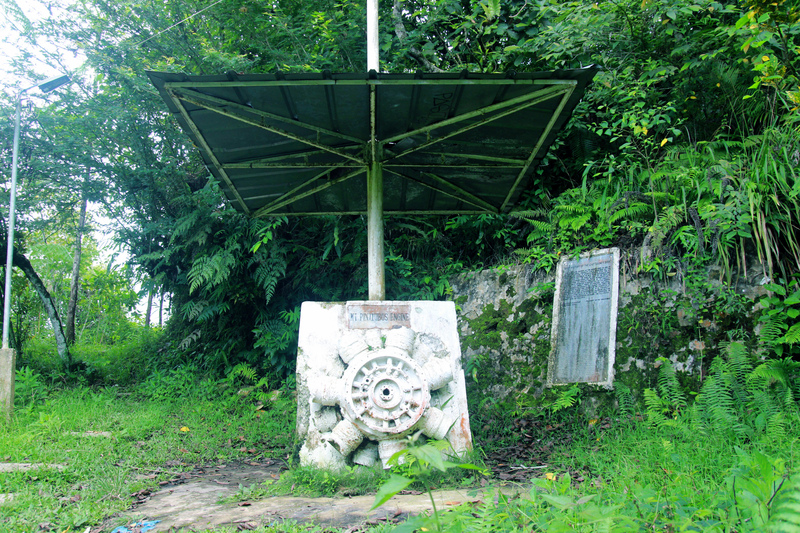 Magsaysay and the cylinder block of one of the Pinatubo’s engines remind visitors of the historical value of Mount Manunggal in Philippine history. A chapel, erected nearby during the height of a communist insurgency in the 1980s, guides the local inhabitants’ spiritual yearning. 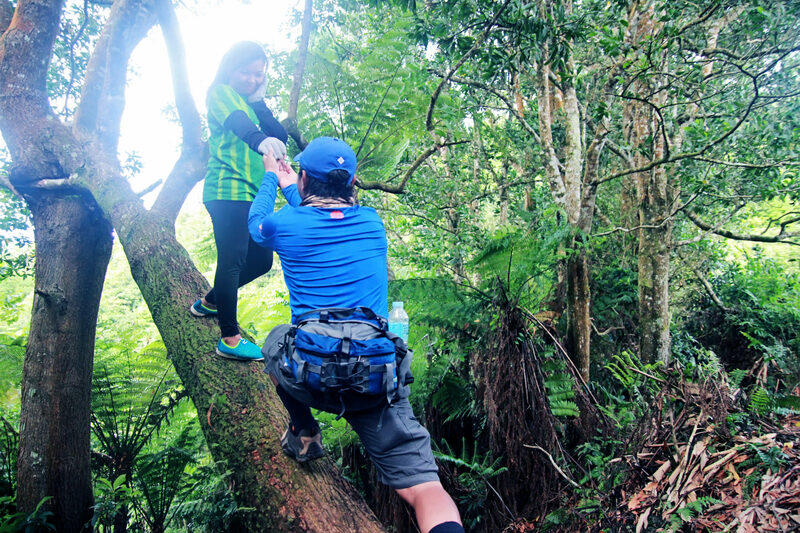 Among the active NCR Trekkers Club members, only @foureyedlaagan has been to Mount Manunggal Peak. Unfortunately, he can’t join us on the Trek date 🙁 so we plan to have our scouting the week before, for him to guide me and for me to learn the trail for the official club trek. It means that I need to memorize the trail from the camp site going to the peak – paying attention to the minutiae and difficulty of the trail for the briefing on what to expect. There were four of us on the scout team, @Foureyedlaagan, @jumzchino, @tonyericson15 and yours truly @WanderingSoulScamper. Luckily, the trail was not that complicated with branch trails. It can easily be learned and it was quite established. As much as I need to take more photos of the peak and enjoy the moment at the peak but we are just on a scout mission and we need to get back to the city as soon as possible as we were just on a day hike. So photo ops can wait for another week. 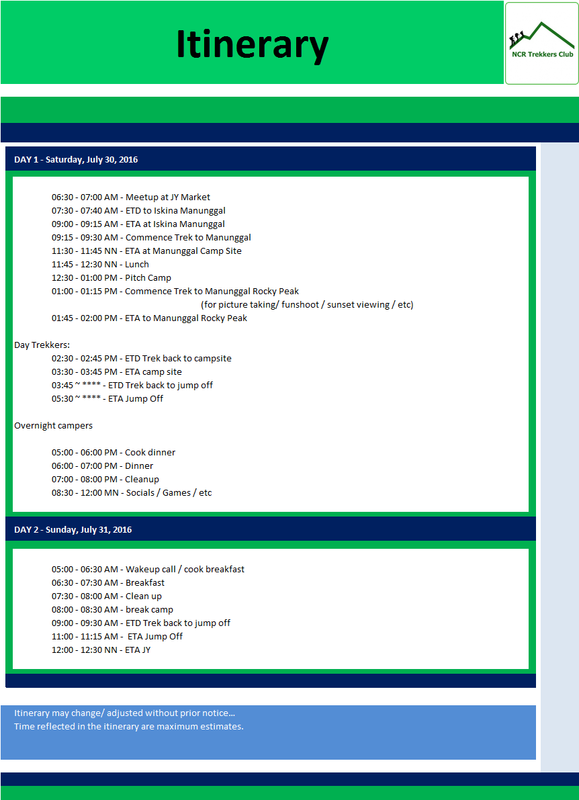 The trek gave me an idea what to expect and what trail class to expect when going to the peak. 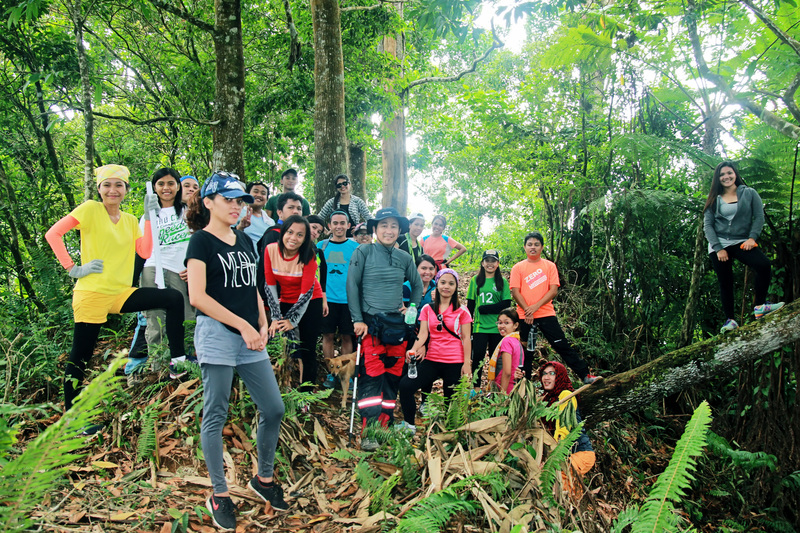 The official trek date for the monthly NCR trekkers club was initially set at 16th – 17th of July but due to the unexpected Wellness Week celebration on that week, it was moved to 30th – 31st of July. 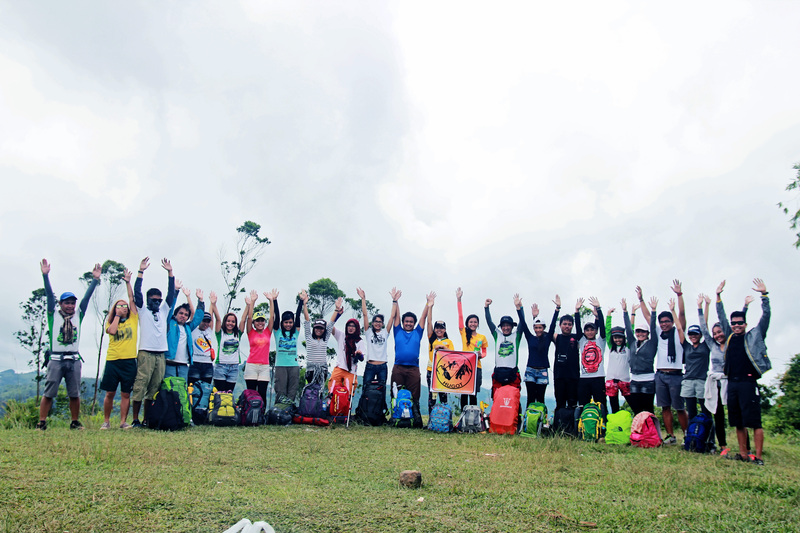 30 participants had set their journey to Mount Manunggal. 25 of which were overnight campers and just 5 day trekkers. Transportation going to the jump off would be a challenge for these quite a number of participants, so we decided to hire 2 jeepneys to haul us to and fro. We trekked the rough road from the junction going to Mount Manunggal from TransCentral Highway somewhere in barangay Sunog. Don’t worry if you just commute in going there as the Van drivers knew well where this junction going to Mount Manuggal is located and would be happy to drop you off on the jump off and sound. The trek to the camp site took us more than 2 hours including our long breaks, we’re not in a hurry anyway. We had our lunch at the camp site at around 12:30 NN. We had short rest after lunch and then set our camps before proceeding to the peak. Everyone was enthusiastic to reach the peak. We started our trek to the peak and leaving our things on the camp site. The camp site is safe anyway but to make sure, don’t leave you valuables behind if no one was in charge of watching it while you’re gone. The trail is a dirt path with a winding ascent and descent but not so steep. Some parts of the trail were loose soil. 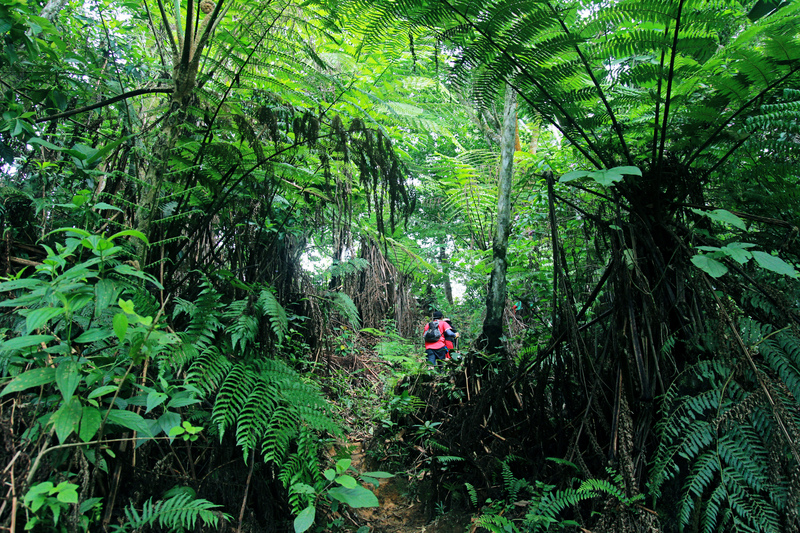 On the middle part of the trail you will pass through a jungle of green lush bushes. The last part of the trail is quite challenging as the trail is a bit narrow with pointed rocks. Not to mention the stingy and thorny plants that you need to be cautious on holding on to. You need to maneuver yourself on some ascents, slid yourself, reach and stretch a step to reach your next footing and secure a foothold. You had to endure this type of trail until reaching the priceless reward that awaits at the summit. After less than an hour trek, the group was impeccably flabbergasted by the hidden paradise Mount Manunggal had offered. The best reward does not come easy though. The peak has an exquisite and immaculate rock formations at its pristine form. 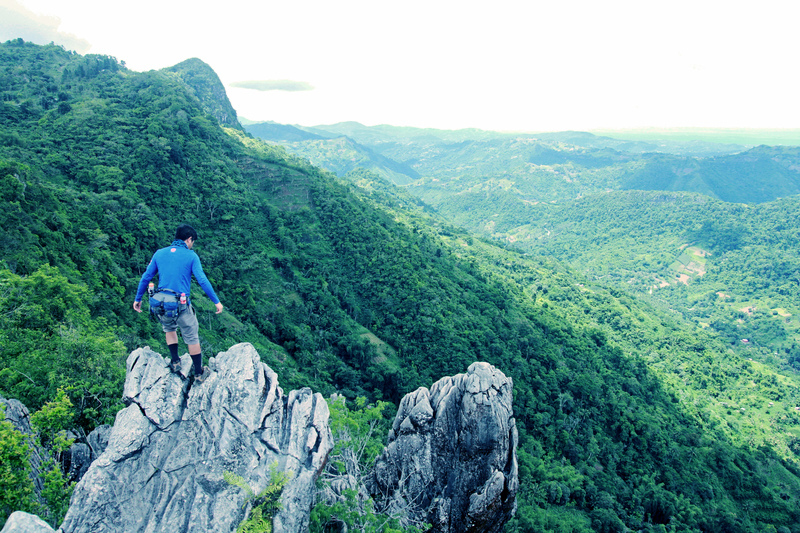 The first rock formation that will welcome you is the brain-like rock formation similar to that of Mount Mauyog. Trek further and unleash the splendid beauty of what Mount Manunggal peak has to offer. It has this cliff that will make your knee tremble as you climbed on top of it. This cliff is not for the faint at heart as it could be fatal with just one wrong step. The peak has a beautiful rocky brae that every adrenaline junkie could not help but jump through each rock to reach certain heights up and below. On the opposite side is another peak with a rocky apex. Some of us braved ourselves and dug our way to explore those unexplored areas of the other peak. It has no established trails, we had to jumped through rocks, hugged some through leaps and bounds in getting there. 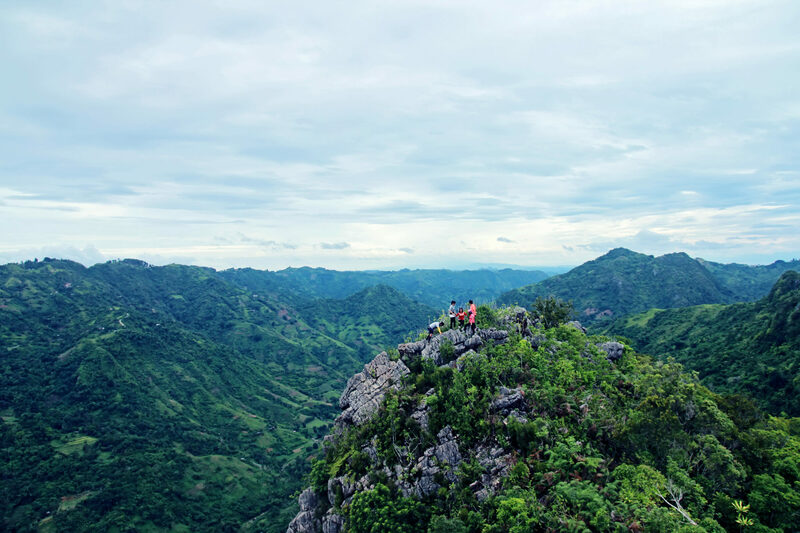 Surely the Peak will invigorate lost souls and restless hearts will be smitten for a dose of nature that you just had experienced when you’re there. Being in the peak, one could not help it but be enamored. The experience was indeed euphoric! 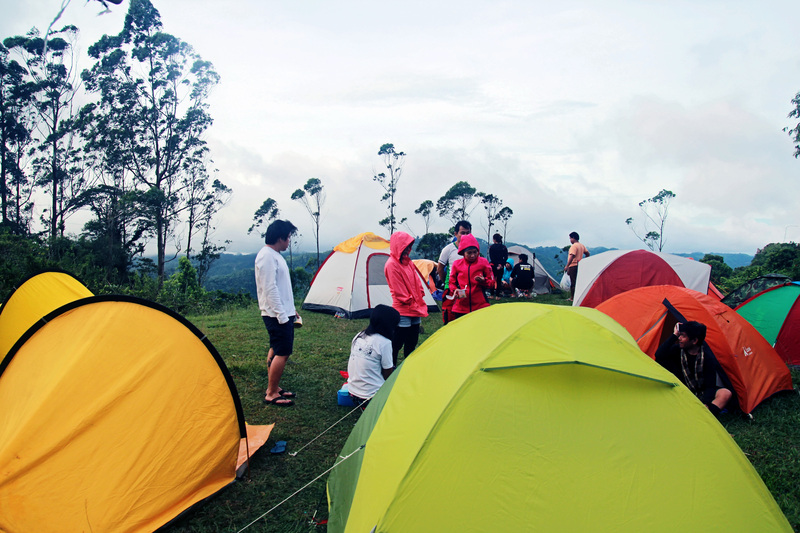 After 2 hours of relishing the beauty of Mount Manunggal peak, we need to go back at the campsite to cook dinner. Oh! Someone had clamored that we need to go back as we’re yet to cook our pork humba for dinner. 🙂 The remaining group who explored the other peak had to back trail on a rocky brae. We were amazed how we had managed to passed through those rocks without any rope aid or harness. Upon seeing it after, we therefore concluded that just one wrong step could make anyone fall to few hundred feet below! Along the trail going back to the camp site, the remaining group have had not enough and made fun along the trail. Some were playing around with jokes on each other, some had trail running challenge, some had these crazy photo ops at the trees. Though the trail was a bit challenging for some, but the sense of serenity had made all those enervation go away. 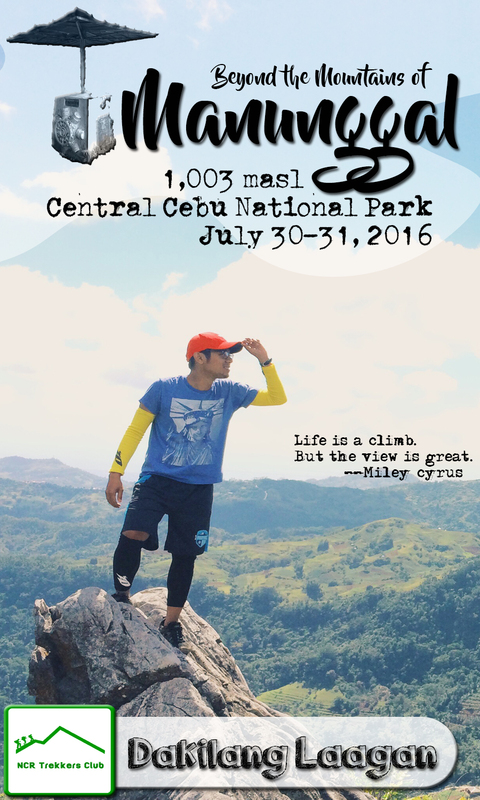 Mount Manunggal camp site is one of the best camp site in Cebu. It has a vast area for pitching your tents, has water supply and has comfort rooms. 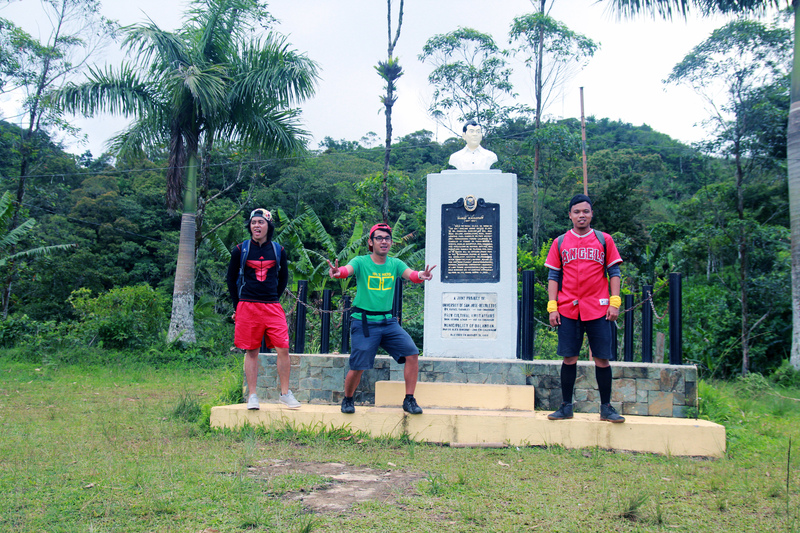 This is because, the site was used to be the boy scout camp and a venue for some outdoor activities not to mention the yearly climb in commemoration of late President Magsaysay’s death. The group prepared the sumptuous dinner and feast after. We had pork humba and balbacua as our main dish, delectable isn’t it? The wind was quite freezing by then, where I fall asleep immediately right after dinner due to lack of sleep the night before the trek. It was unusual for the trek to have no socials and no werewolf game. My bad, I was so sleepy and guess too tired or just not feeling quite right at that moment. That, I really don’t know what had triggered it that I just made myself fall asleep instead. 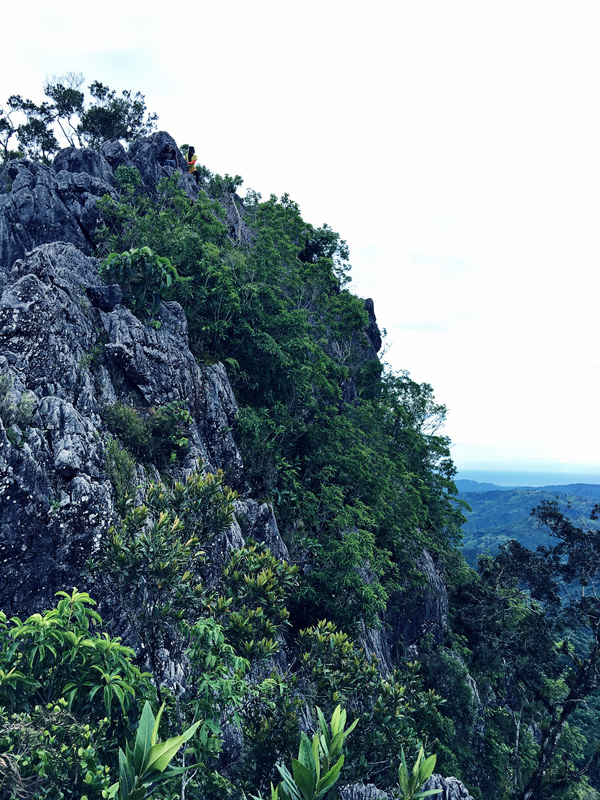 The group was supposed to visit Mount Mauyog, but with the experience Mount Manunggal peak has offered, it has been decided not to proceed to Mount Mauyog and just heed home early. Guess I’m not too chatty today. So I had to end my trek story here. Nevertheless, the Experience was truly one of a kind and definitely I will be back there soon! Have you been to Mount Manunggal? How was your experience? Share your thoughts about it in the comment box. ***Food Expenses not included here as you may have different meal plan and food preferences than ours. wonderful! I didn’t know there’s more to Mt. Manunggal. Where can we find this path or do we need a guide? We didn’t have one going to Manunggal, only a relative who knows the place. Yes, there’s more that Mount Manunggal can offer, it is this peak. You can ask the locals who lived near the camp site where the peak is located (the stones in the picture).. or you can ask the children in there to guide you… Happy trekking !